Cover Reveal for FAST BALLS! Hi there! Today I’m sharing a cover reveal for a new contemporary M/M romance form Tara Lain. 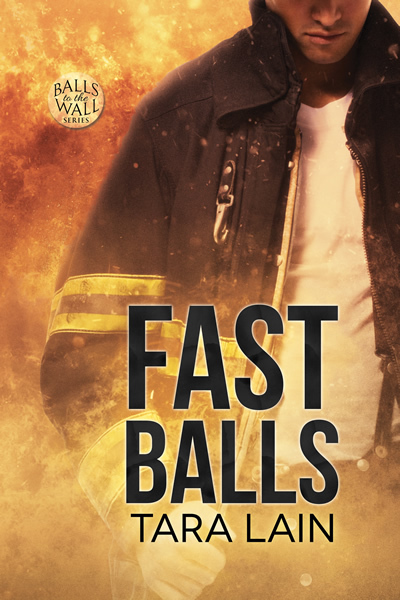 FAST BALLS is the fourth book in her Balls the Wall series and features an odd-couple romance between two firefighters, one who needs to come out of the closet. We’ve met both of these guys in FIRE BALLS, but there’s no doubt cameos from pals we met in VOLLEY BALLS and BEACH BALLS, too. I can’t wait to find out how good-guy Jerry finds love! FIRE BALLS re-releases July 12th. Interested? You can find out more about FAST BALLS on Goodreads, and preorder the book in advance of it’s July 12th release on Dreamspinner Press. My pleasure! Looking forward to reading this!